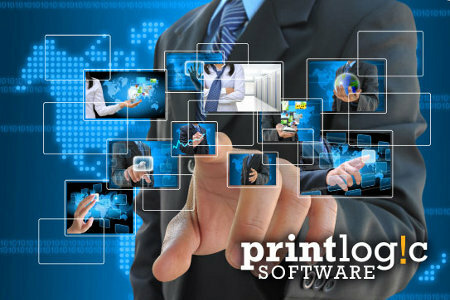 Printlogic Software is an integrated business management system for small to medium-sized commercial printers & brokers. Printlogic provides two options to produce a quotation. A “manual” or a pre-loaded “costs quote”. The pre-loaded “costs quote” is set with a number of items you produce or broker. So with a click of a serious of buttons and a few seconds of your time you have produced a quotation ready to be emailed to your client. While the manual quotation, allows for the flexibility of changing or adapting a more detailed/personalized job. Create a database of contacts for you to market in the future. Printlogic allows you to produce an order through the Manual or the Costs estimate or to simply bypass the estimate and produce the order immediately. Once generated the information entered for this order will produce a “Job Sheet”, “Delivery Docket”, and “Invoice”. Saving time on duplications and reducing the potential for error. Should the client place the same order weeks or months later you can clone the original and any related purchase orders if you wish and process this order within seconds. Empower your mobile staff. You can access Printlogic while on the move. Check on orders and view status of any order. Not producing a job in-house? Printlogic allows you to outsource jobs to your suppliers for quotation. Using your estimate you simply outsource the items you won’t be producing in-house and choose the suppliers you’d like to receive a quotations from. Ever found yourself waiting for materials or an outsourced job to arrive only to find your supplier hasn’t processed it. Take the doubt out of things and place the order through Printlogic. Store prices from suppliers that you can refer to easily and search as required. Printlogic has a sophisticated stock management system, allowing you to keep track of stock, record & monitor locations/movements, record stock values. Allows for floor data collection, job timing. This is normally a system in itself, but we here at Printlogic include stock control into our system at no extra cost. Printlogic provides you with a fully integrated book-keeping system. That allows you to successfully run your accounts and produce reports and vat returns. If you are presently using an accounts package Printlogic will export to all major accounts packages (Sage, Opera, and QuickBooks to name a few). Printlogic provides a series of activities designed to enhance the level of customer satisfaction. One of these is the diary system, designed so you remember to keep in touch with your clients, whether it’s a reminder to chase a quotation, or a reminder to call re debt collection. So many companies miss the opportunity of gathering information from enquiries and leads, by simply not logging the information. Printlogic allows you to quickly log this vital information so you can send a professional estimate, but equally as important to gather the information from these leads so you can market and develop them in the future. Printlogic has a full Marketing sections so you can monitor customer last order, top customer list, full customer activity.